The London High Society Afternoon Tea is served in the iconic Oscar Wilde Bar, located within the historic Hotel Cafe Royal on Piccadilly. 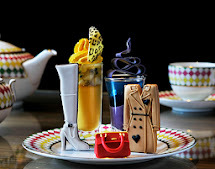 Created by Executive Chef Andrew Turner and Executive Pastry Chef Andrew Blas, the tea is an exquisite take on the classic English tradition and includes a selection of indulgent sandwiches, cakes, scones and pastries. 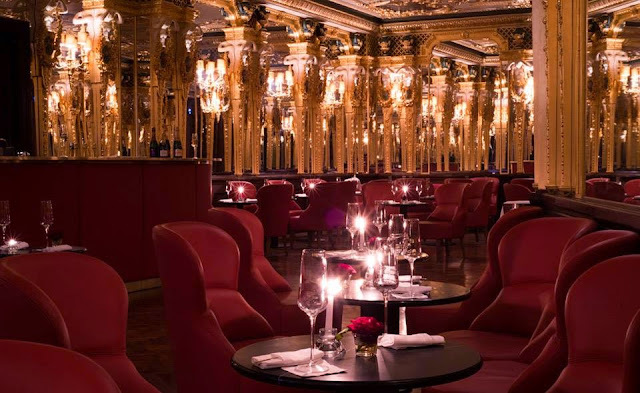 The Oscar Wilde Bar offers Londoners and visitors to the city the perfect spot for a special occasion or simply to indulge for an afternoon. Sandwiches on offer include: Wild boar, crackling, pickled apple and mustard bun; Goat's cheese puff and wine jelly; and Mary Rose prawn cocktail. Pastries include: Absinthe Green Fairy macaroon; Blackberry and apple Regent; and Seasonal flower pot. Traditional golden raisin and plain scones are also on offer, served with clotted cream and lemon curd or strawberry and gold preserve. Classic cakes include gluten free lemon drizzle cake and Traditional fruit cake. A selection of exclusive tea blends are also on offer including: Oscar (an authentic and historic Lapsang Souchong, lightly smoked); Celestine (soft black China tea with sweet Madagascan vanilla pod and pretty cornflowers); Golden Caryatid (attractive gold-flecked black tea from Yunnan); and Queensbury (a refreshing, herbal infusion of lemongrass, fennel seed and liquorice root). All this is served in the breathtaking Oscar Wilde Bar (formerly the iconic Grill Room) which has been stunningly restored to its authentic Louis XVI detailing. 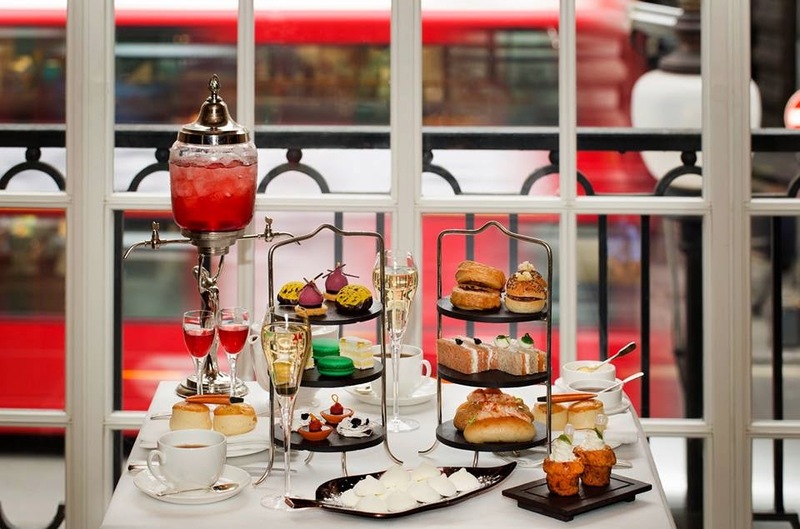 The room oozes grandeur and sophistication, offering the perfect place to host the most glamorous afternoon tea in London. Well worth a visit - had tea here in Dec 2014 and was very special , food , service and setting .